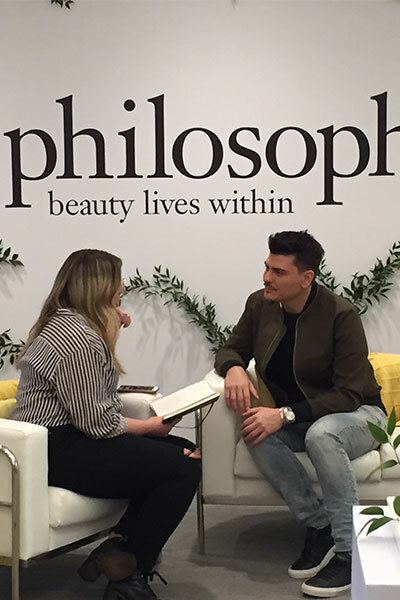 Five minutes with Mario Dedivanovic, Kim Kardashian’s makeup artist! 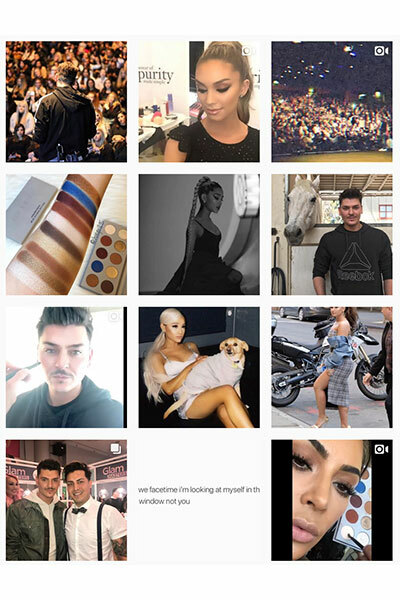 Makeup artist Mario Dedivanovic has made a global name for himself thanks to a decade-long professional relationship with reality tv star Kim Kardashian West. 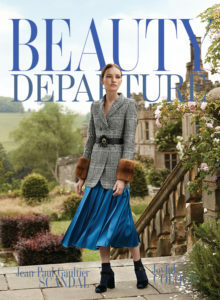 As her makeup artist, he’s traveled the world and launched an artistry makeup collection complete with youtube tutorials and social media posts that have been viewed over 100 million times. 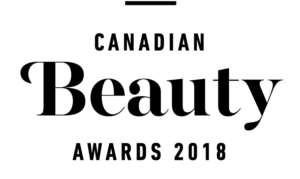 He’s been the driving force in the ‘contouring’ trend that uses shading and highlighting to reshape the facial contours – a trend that has circled the globe and changed the way beauty companies create makeup collections. And his choice of colour and textures is keenly watched by a new generation of beauty consumer who takes his recommendations seriously. Born in the Bronx, New York, Dedivanovic or “Makeup by Mario” as he’s more commonly known, counts Chanel Iman, Naomi Harris and Chrissy Teigan as clients. His Master Classes that began with a couple dozen participants have grown into massive events that can exceed a thousand guests are part pep rally, part artistry class. He travels the world teaching men and women how to create the flawless high definition look favoured by Kardashian. 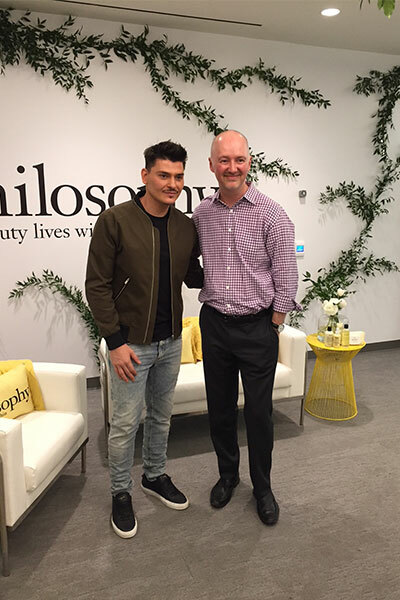 I met up with Mario at a philosophy skincare reception in Toronto where he spoke with a group of journalists and influencers before hosting a Master Class at Yorkdale mall, one of Canada’s busiest malls. 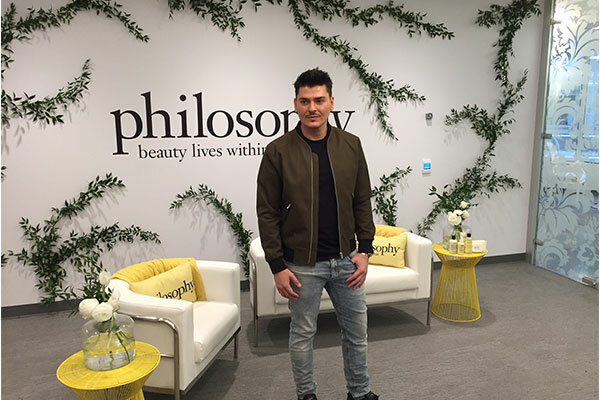 The makeup artist has inked a partnership with philosophy because he uses the purity range to remove makeup from his clients’ faces. 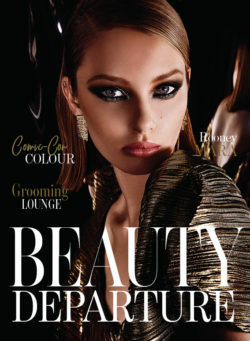 “I use a lot of makeup on my clients so I need a cleanser that is going to thoroughly remove any last trace of product. I honestly really like this product,” he says. It’s a staple at each of his Master Classes. So what is his advice to aspiring makeup artists who are just starting their careers? “Makeup schools or classes are a good place to learn basic techniques,” he says. “And working part time at a beauty counter is the best place to really learn about product. That is where you learn the differences between the brands and the benefits of each. But where you really learn the tricks of the trade is when you assist a professional makeup artist. If you can find a talented makeup artist to assist, that is how to take your makeup career to the next level.” This is what inspired him to create his classes in the first place. Most importantly, Mario says to follow your passion. When he first worked in retail, he was placed in the fragrance department. But when he discovered lipsticks in the counter across the room, it was a game changer for him. He never looked back. It just takes a love of beauty, hard work and a little luck. Not a big fan of Kardashian West. But we are talking about amazing Mario not Kim K.W. ! It’s about talent not personal preferences! Great advice for those who are looking to build their experience and talents!! Very interesting article and so inspiring for artists today.